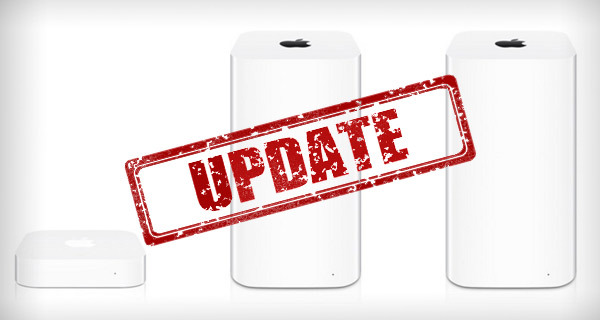 Apple AirPort firmware update 7.6.8 and 7.7.8 has been released for AirPort Express, Extreme and Time Capsule. Here are all the changes in the new update. We’re used to Apple regularly issuing firmware updates for a number of its products, such as iPhone, iPad, Apple TV, and of course, Apple Watch, but not so familiar with seeing updates trickle through for Wi-Fi base stations these days. That has all changed today, with Apple taking an opportunity to push out updates for products like the AirPort Express, AirPort Extreme, and the AirPort Time Capsule, bumping the firmware versions up to 7.6.8 for AirPort Express, and 7.7.8 for the company’s higher-end Extreme and Time Capsule AirPort models. Unlike platforms like iOS, macOS, and tvOS, to name a few, it’s very difficult to actually introduce new changes and functionality into products like Apple’s Wi-Fi base stations with software improvements. Even more difficult and unlikely when you consider that it’s widely rumored that Apple has internally discontinued its AirPort Wi-Fi routers, with the team and all the engineering resources now moved to Apple TV division. The company hasn’t made any formal announcement regarding it though. Apple certainly won’t want to be lavishing improvements and feature upgrades on products that it will ultimately end up killing off. With that said, both firmware version 7.6.8 and 7.7.8 may not bring functionality improvements, but do exist as bug fixes to improve stability with the products. According to Apple’s accompanying release notes, both firmware revisions are intended to eradicate an issue that had prevented AirPort base stations from appearing in the AirPort utility when a user had Back to My Mac Enabled. For those that may not know, or who may not have used the feature, Back to My Mac is a feature introduced by Apple that uses the iCloud infrastructure to set up a network of Macs that can be accessed remotely, allowing things like file sharing and the ability to locate files and folders on a machine remotely. The newly released AirPort firmware updates can be downloaded and installed using the AirPort Utility app available for iOS and macOS. Even with rumors of Apple discontinuing AirPort routers circulating everywhere, the company is still committed to continuing pushing out bug fixes and security improvements to existing hardware on a case-by-case basis. If you are in the market for best alternatives to Apple’s AirPort, check out our post: The Best Apple AirPort Alternative WiFi Routers. iOS 10.2.1 Beta 2: What Are The Changes?